In designing and/or building specially commissioned projects, Robert demonstrates his ingenuity, creativity, and ability to innovate even within existing architectural and style motifs. An existing basement needed to be transformed into Roman villa style. 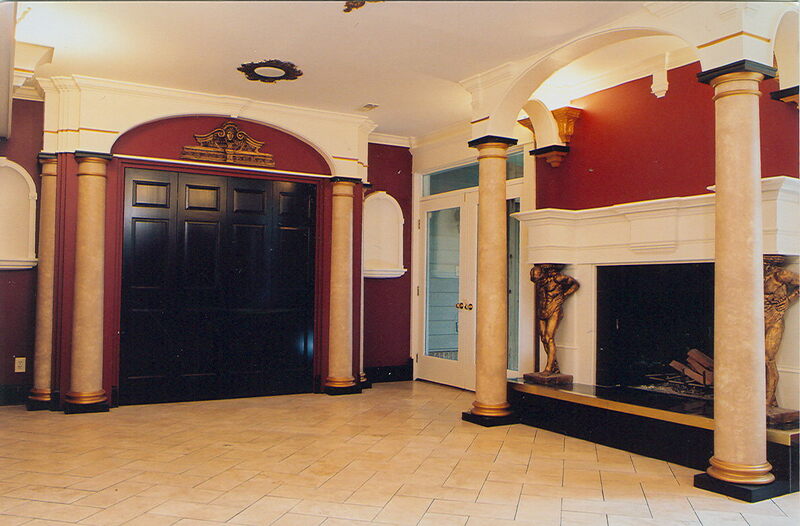 Robert incorporated repeating elliptical arches throughout the room to create this classical architectural effect. 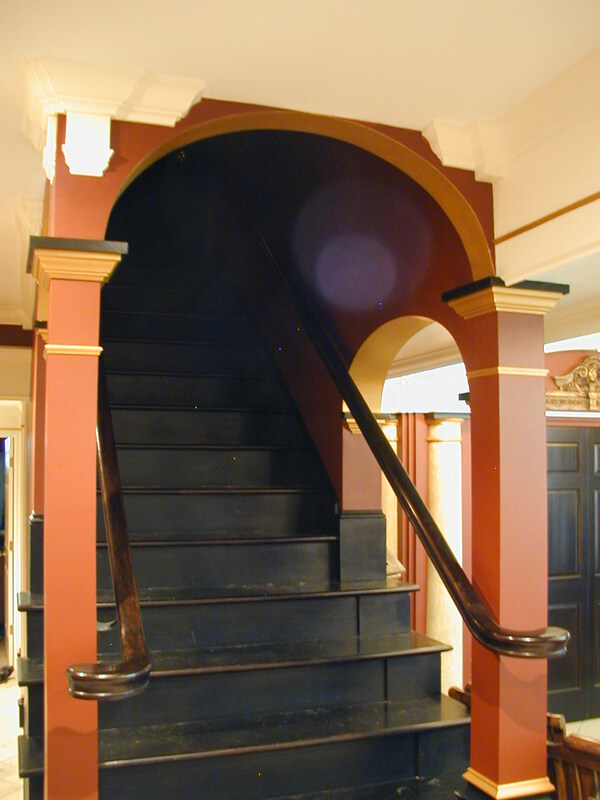 The staircase had to be rebuilt for this project. 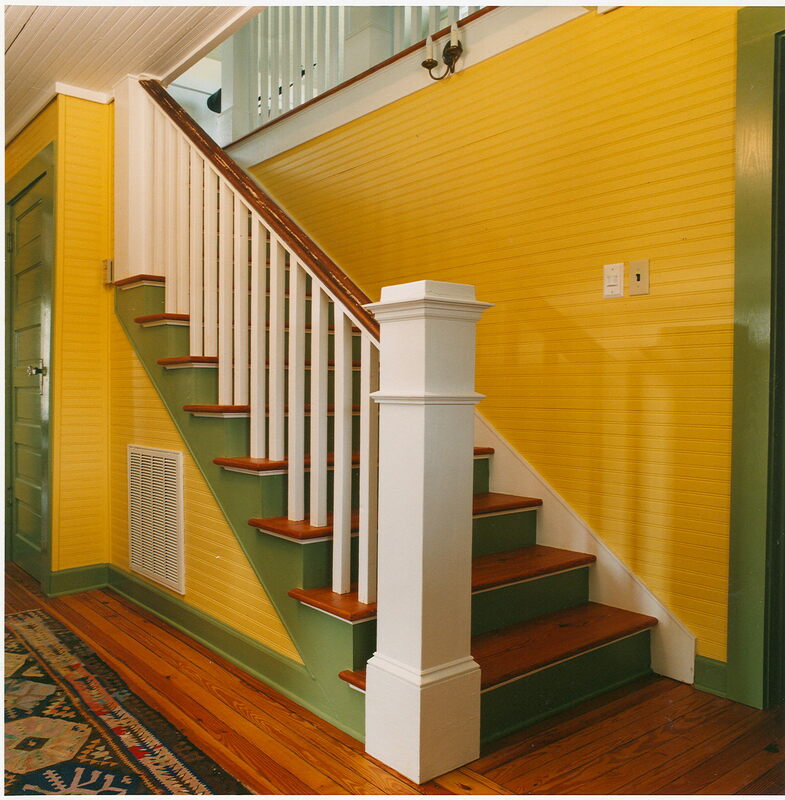 The sheetrock pony walls were removed, and the structural columns on the stairs were covered with 1x's to create a finished column. Capitals were installed with the columns to provide a place for the visual mass of the arches to terminate. 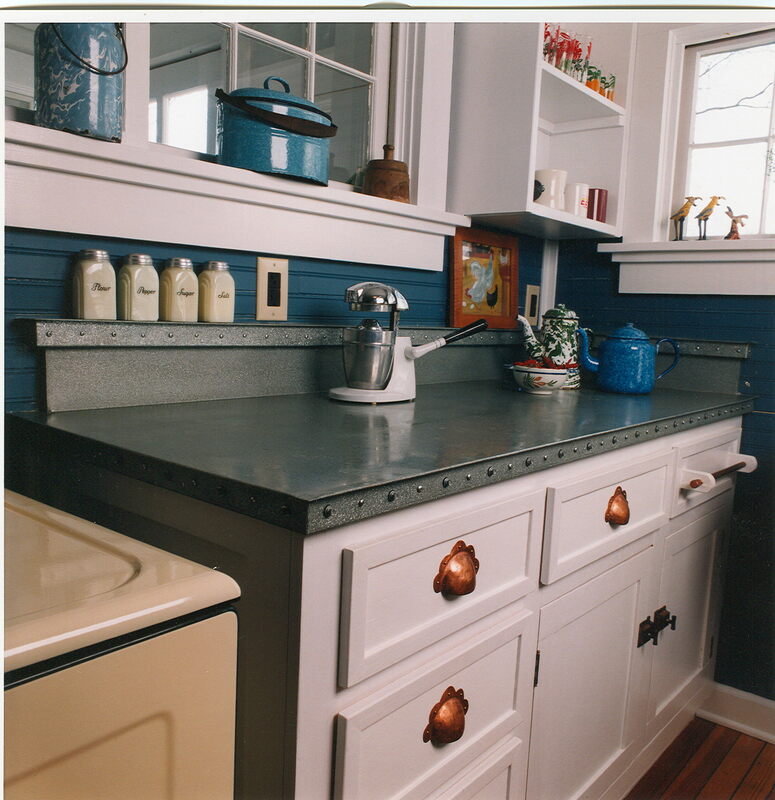 Indirect lighting was installed located in the trough created by the crown molding. The cabinetry is mahogany stained maple plywood with stained pine fronts. 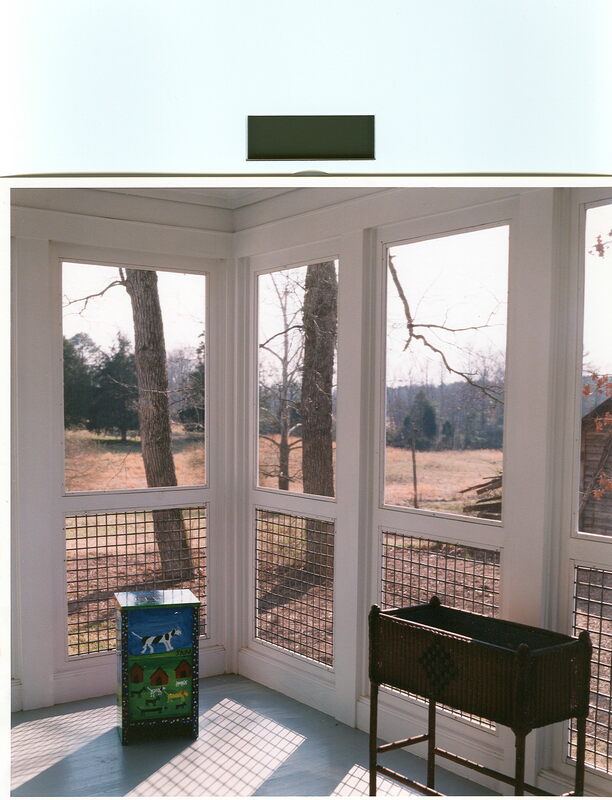 For the entertainment center, "flipper doors" were used which fold in on themselves and slide back into the wall to provide access to to the entertainment area. 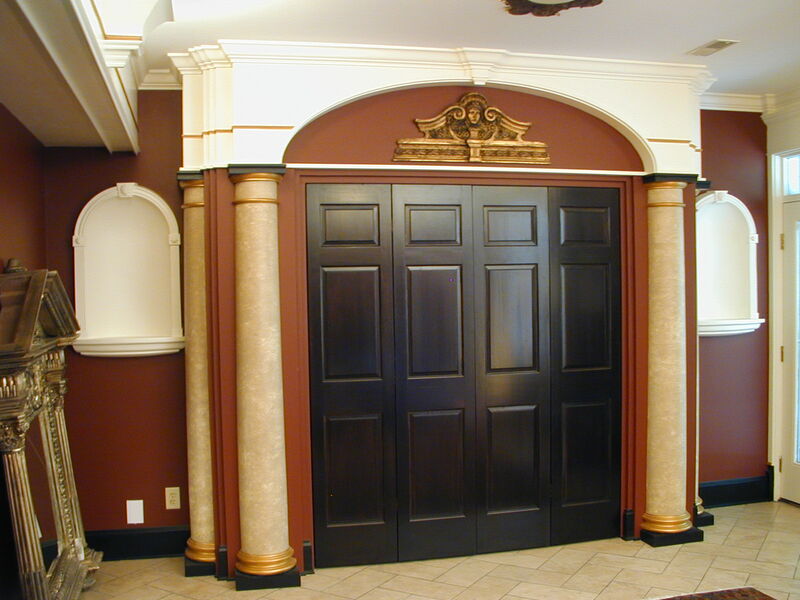 Columns which turned the corner were used to provide a prominent element in the room. The existing fireplace had a red brick hearth and a simple mitered wood mantel. The hearth was redone with black tiles and metal edging. 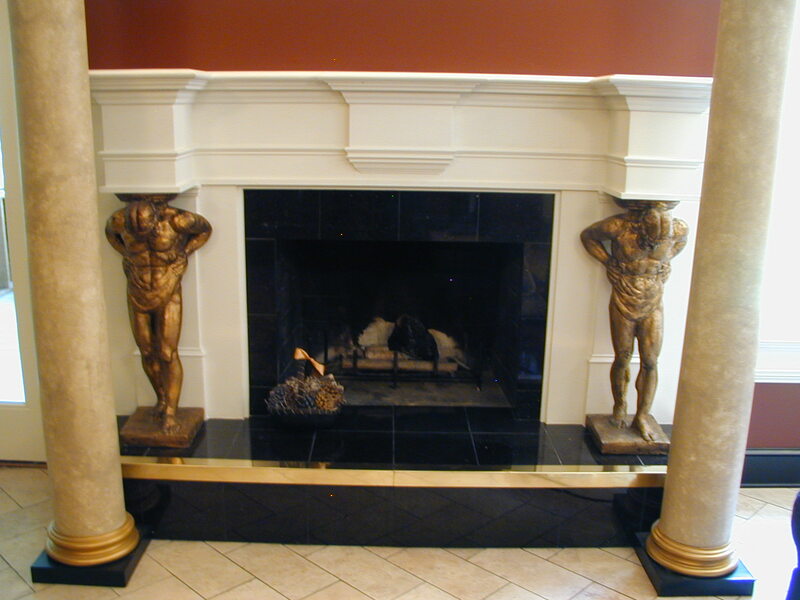 The mantle was redesigned to create a strong vertical element and a projection away from the wall to counter the enclosed feeling of the small basement room. 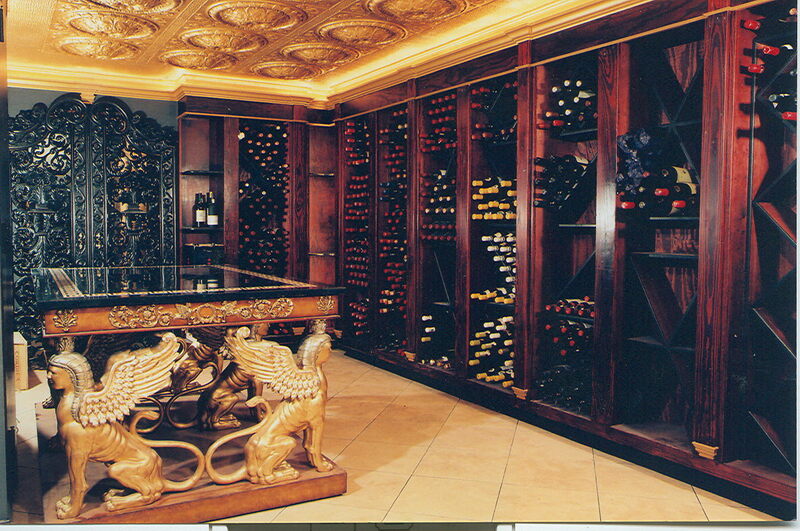 To create the wine cellar recycled wall-in cooler freezer panels were a fixed to the concrete block walls. 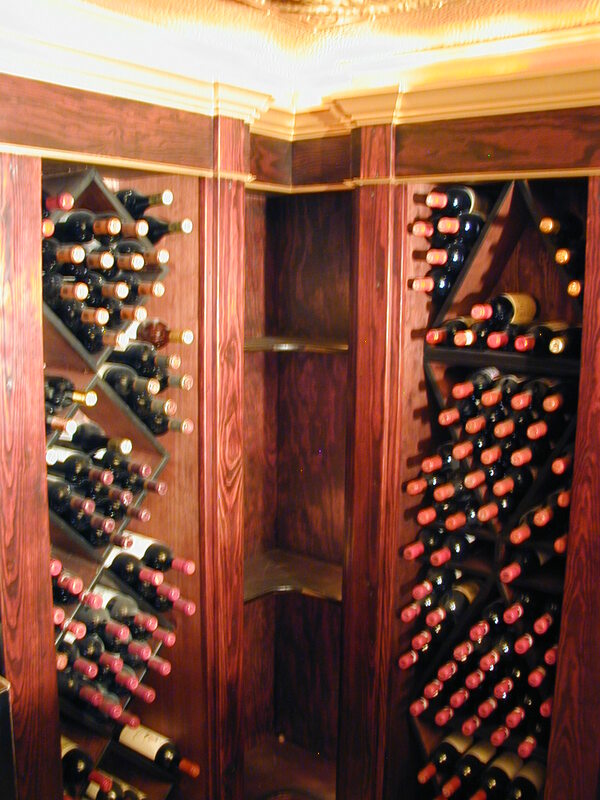 The cabinetry was designed based upon multiple configurations possible to display the wine bottles. 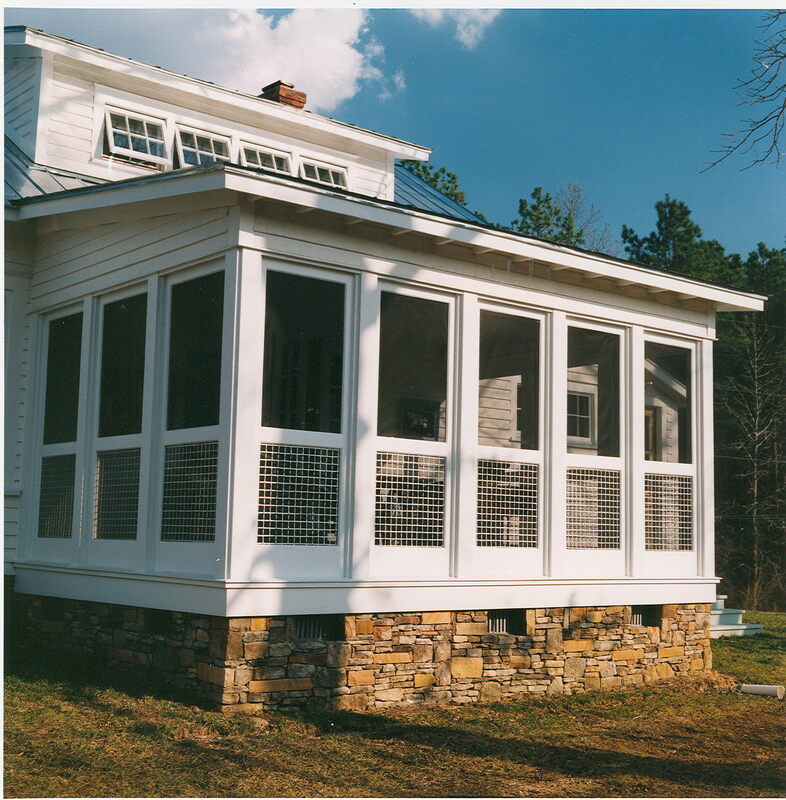 Robert was employed as a finish carpenter to remodel a North Carolina farmhouse in a primitive vernacular style. 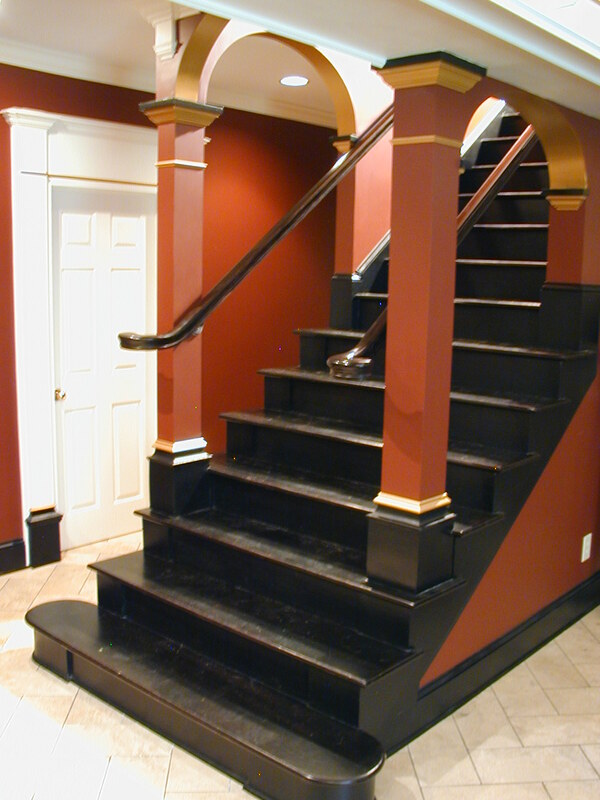 This included rebuilding the staircase, back porch, doors, front porch, and installing bead board in the house. A few pictures from that project are included here.